These restaurants in Seoul have made it to the Bib Gourmand 2019 selection. The Bib Gourmand is part of the Michelin Guide that recognizes affordable and award-winning restaurants. In South Korea, restaurants selected for the Bib Gourmand offers distinct food options for under ₩35,000 (₱1,650 or $40). There are a total of 61 restaurants in Seoul that made it to the 2019 selection. For an authentic experience, make sure to add one in your South Korea itinerary. Though not true in all cases, Michelin-starred restaurants across the globe get the perception of being expensive. It’s difficult to believe otherwise since the prominent ones like Le Meurice Alain Du Casse in Paris and Ultraviolet in Shanghai respectively charge $430 for a three-course tasting menu and $900 for an Avant-garde menu set. However, there is a selection in the French tyre company’s guide called The Bib Gourmand, which recognizes restaurants not only for their delightful culinary tradition and methods, but also for their affordability. If you’ll visit Korea, know that there are a total of 61 restaurants in Seoul that are awarded the Bib Gourmand for 2019. While, generally, you will not have a hard time finding great restaurants and stalls that offer delightful food choices in the area, visiting those that made it in the list will surely give you an authentic and fulfilling experience. 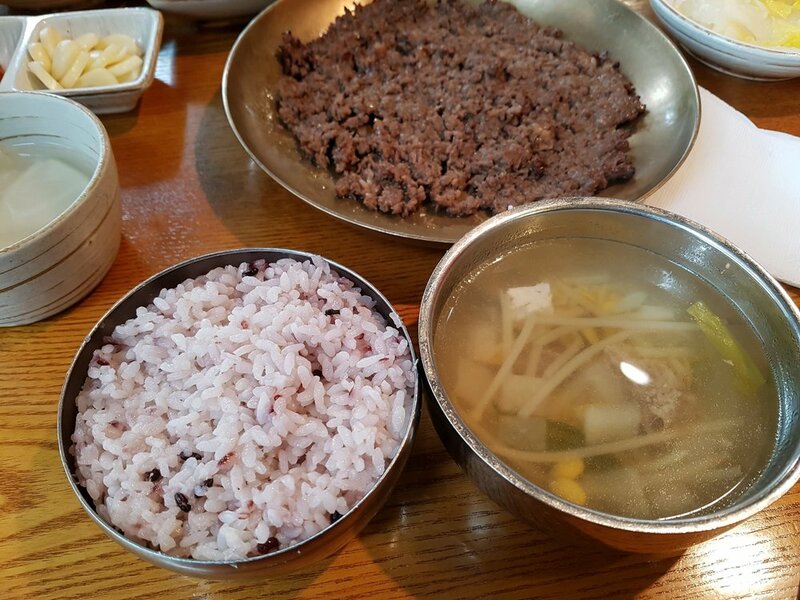 This humble-looking restaurant in Seoul delighted Michelin inspectors with their simple and aromatic dwaeji-gukbap, which is rice mixed into pork soup. They have noted here that, traditionally, ordering gukbap means getting a bowl of soup with the rice already mixed in it. However for Chef Park Chan Il of Gwanghwamun Gukbap, keeping them seperate preserves the pleasant flavors of the rice and the fragrant smell of the soup. Semigye in Itaewon is popular for its filleted chicken that’s either lightly salted or marinated in soy sauce or spicy sauce. The Michelin inspectors loved how they grilled the boneless chicken neck on oak charcoal and wrapped it in soft tortilla. Other notable dishes offered by this top restaurant in Seoul includes their fried rice and miso jjigae. 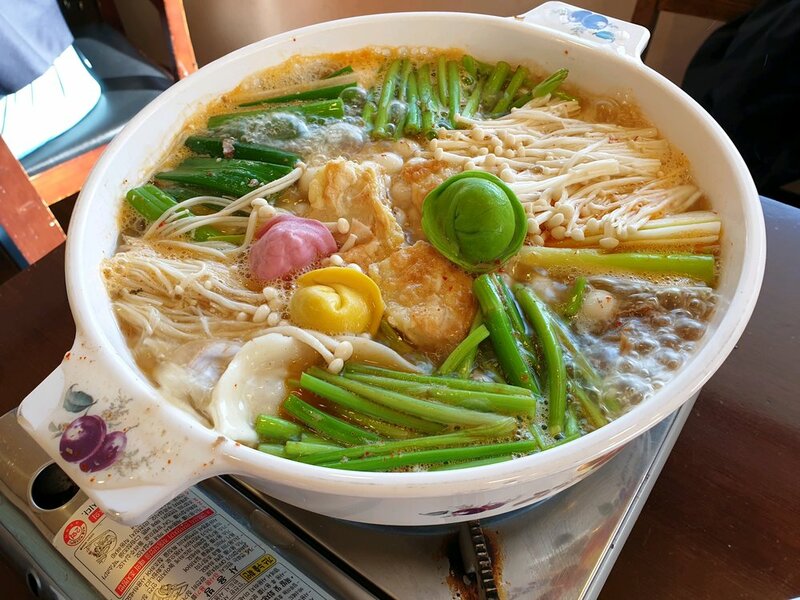 The charm of this restaurant in Seoul probably comes from its being low-key or its fuss-free comfort dishes, such as the Pyeongyang-style cold buckwheat noodles and Beef hot pot. If ever you’re visiting Nampo Myeonok, you’ll be sure to taste only authentic and traditional Korean flavors and enjoy dining on the floor (but table-seating is also available!). A mother-and-daughter tandem runs this restaurant in Seoul. They make their noodles and dumplings from scratch every morning. What the Michelin inspectors loved about Mealbon is that the dumpling skins are crispy and “the noodles are served with a simple topping of pulled soy sauce-braised beef”. Ogane Jokbal’s winning offering is its gelatinous braised pig’s feet, which have been drawing customers through word-of-mouth since 2007. 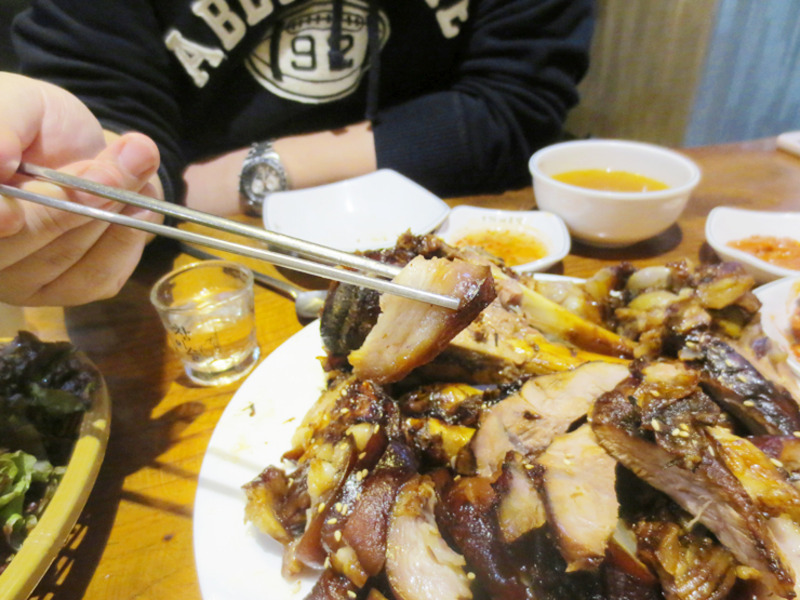 Customers who have visited this restaurant in Seoul describes the pork’s skin to be soft and chewy, which is a perfect complement for soju or beer. Michelin inspectors noted that other must-try menu items in Ogane Jokbal are boiled pork slices and cold buckwheat noodles in kimchi broth. Make sure to visit this joint if ever you’re visiting Gangnam! Yonggeumok is a well-established restaurant in Seoul that’s known for its loach soup, which is a dish that’s believed to give a boost in energy. Here you will find two variations of the dish: the one with the whole loach and the other with grounded loach. Either of the two are recommended by customers, so don’t be scared to select your bowl. (Oh, don’t be surprised if you’ll be falling in line with customers who are mostly elderly!). This restaurant in Seoul attracts clientele of all generations with its age-old dumpling recipe. The Michelin inspectors liked Jaha Sonmandu’s mandutguk, which is “plump pork, bean curd and vegetable dumplings nestled in a delicate beef broth, seasoned with homemade soy sauce”. If you’ll dine in this place, you’ll also get to enjoy the majestic view of Inwangsan Mountain. Visiting Chanyang Jip is tantamount to ordering their “iconic crispy thin-sliced bulgogi [that’s] grilled over open flames”. This restaurant in Seoul’s signature dish has become famous for many, many years, and has been attracting customers with their delightful bulgogi recipe. If ever you’ll add Mapo-gu in your itinerary, make sure to visit Chanyang Jip for lunch or dinner. To view the other 53 restaurants in Korea that made it to the Bib Gourmand selection for 2019, refer to this list here. Anticipate some waiting time if you’re planning to visit any of the restaurants in Seoul that are part of the Bib Gourmand selection. 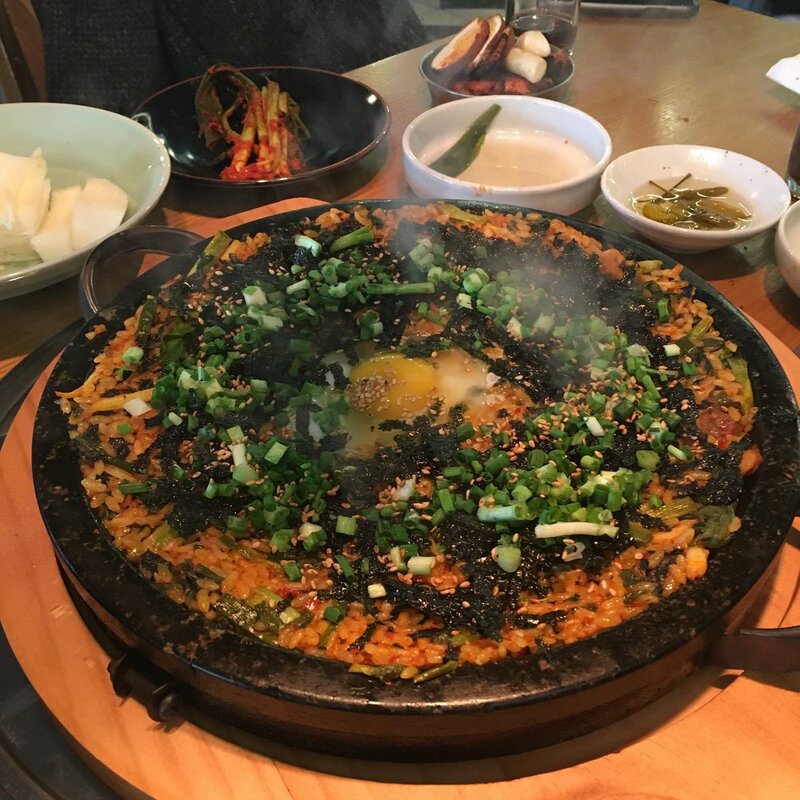 Join a Korean Food Tour! If you’d like to join a food tour in Korea, why not consider the Korean Street Food and BBQ Tour, which has the following description? A walking food tour in which the guide will introduce you to 7 different foods in a span of two hours. Enjoy different types of street food including Korean style egg muffin, spicy rice cake, and fried pork dumplings. Learn about the history and food culture of Korea from an experienced guide. Finish with a full-course Korean BBQ lunch to complete the experience. For more travel guides and tips, show us some love on Facebook!